Today that antimodern sentiment has practically vanished as the region’s attitude toward unconventional architecture has finally begun to shift. Although Atlanta is stocked with ranch-style, midcentury modern homes (and dotted with modernistic works by pioneers like architect Henri Jova), locally the modern trend experienced a long lull beginning in the 1980s. 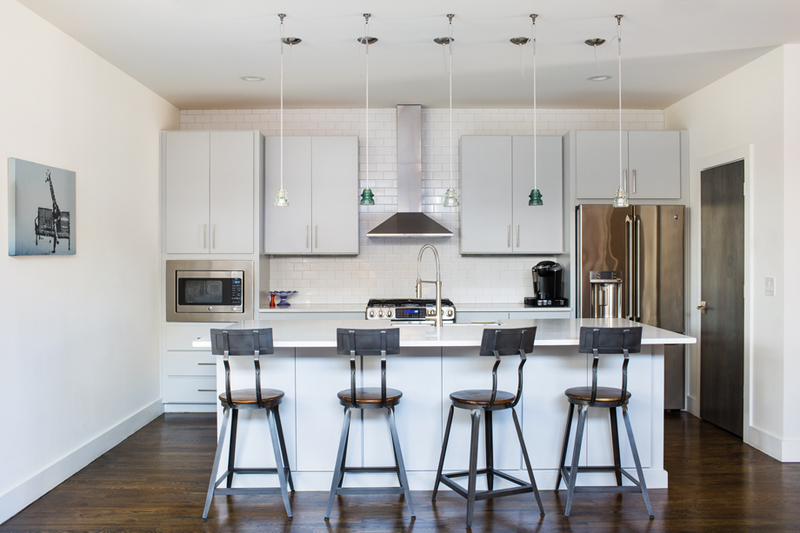 Home designer Jordache Avery remembers moving to Atlanta in 2004 and finding only one recent example of the streamlined homes he wanted to build. 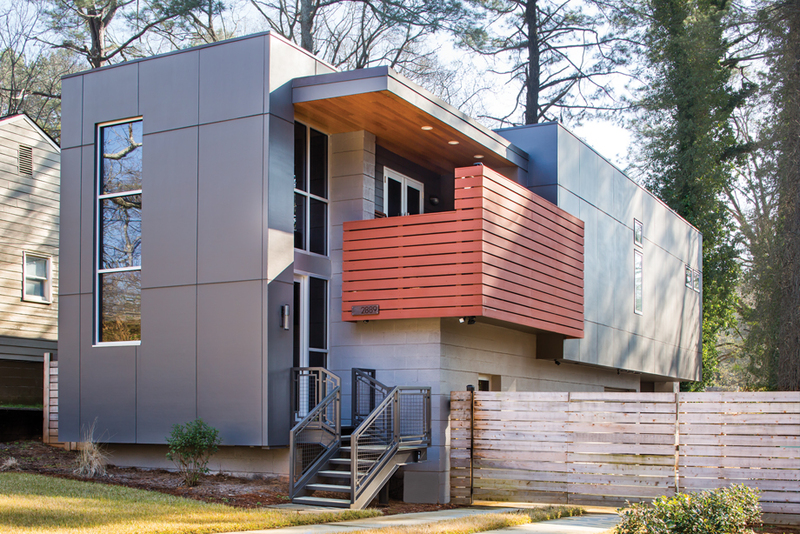 A turning point came in 2007 with the launch of Modern Atlanta, or MA, a home tour that helped remove the antiseptic stigma associated with modern design. “Unless you get inside and see that it actually is livable, a lot of people just never think it’s something they’d be interested in,” says MA cofounder Elayne DeLeo. Since the tour began, the number of home submissions for MA has grown by about 25 percent each year, and Cablik estimates that up to 20 percent of new housing stock in neighborhoods such as the Old Fourth Ward and Midtown has a modern bent. Today, “it’s more volume and more interest than I can keep up with,” says Avery. Longtime intown Realtor Lee Taylor of Keller Williams Realty says the prevailing question for modern home buyers—“Will I be able to resell it one day?”—shouldn’t be a problem in today’s Atlanta. “I really believe a lot of [modern home sales] are driven by people coming from sophisticated cities with great architecture,” he says. The owners of this airy four-bedroom near the Atlanta BeltLine’s Eastside Trail wanted a three-story floor plan to capitalize on skyline views. But ultimately, architect Scott West decided that the scale should remain reasonable, especially since the majority of the two combined lots already sat five to six feet above the street. “Three full stories would have towered over the neighborhood,” West says. Instead, he decided to reduce the vertical footprint by halfway burying the first-floor garage. 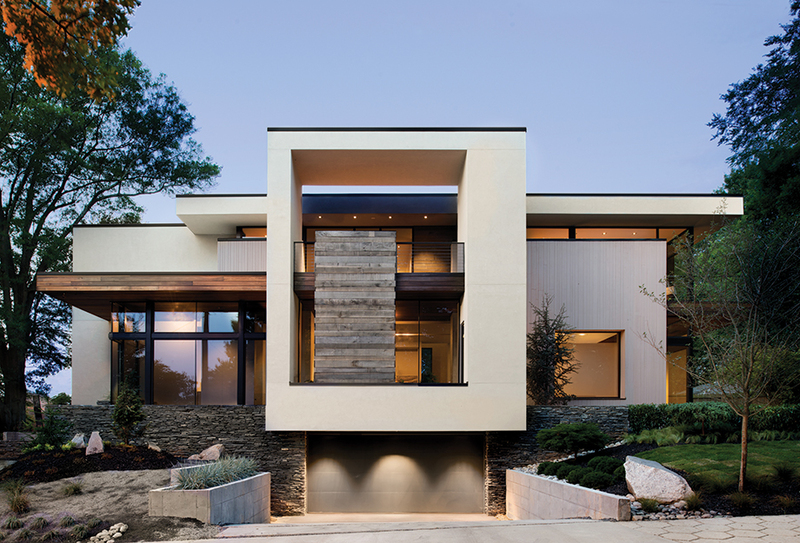 The resulting home is a 3,500-square-foot puzzle of stucco panels, gray Cherokee stone, commercial-grade glass, and various sustainable woods that better melds with the topography. Above the garage sits the kitchen, where the Bosch appliances, Crema Ondulare marble backsplash, and custom range hood of angular steel punctuate cabinetry without hardware. 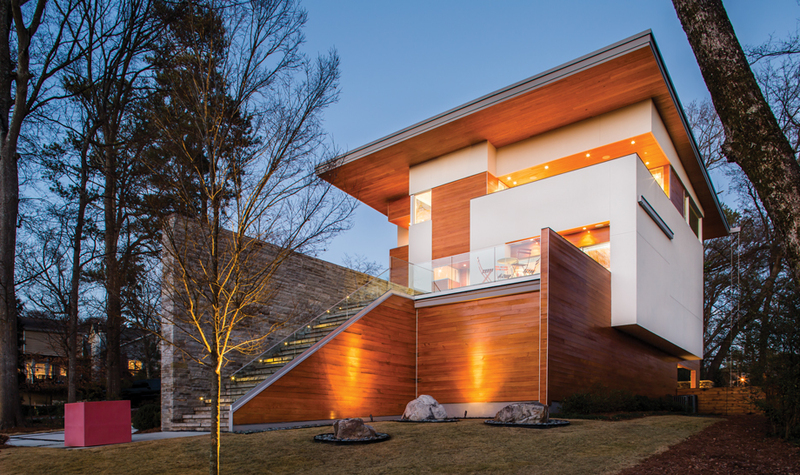 Wide-plank walnut steps lead down to the living room, with its 14-foot ceilings and hand-troweled stucco walls. Unique touches include large raised plant beds beyond the huge dining room as well as basement windows that create a terrarium effect. West points to the master bathroom, with its floating vanity and mirror plus a hidden channel that creates a waterfall into the tub, as a project highlight. 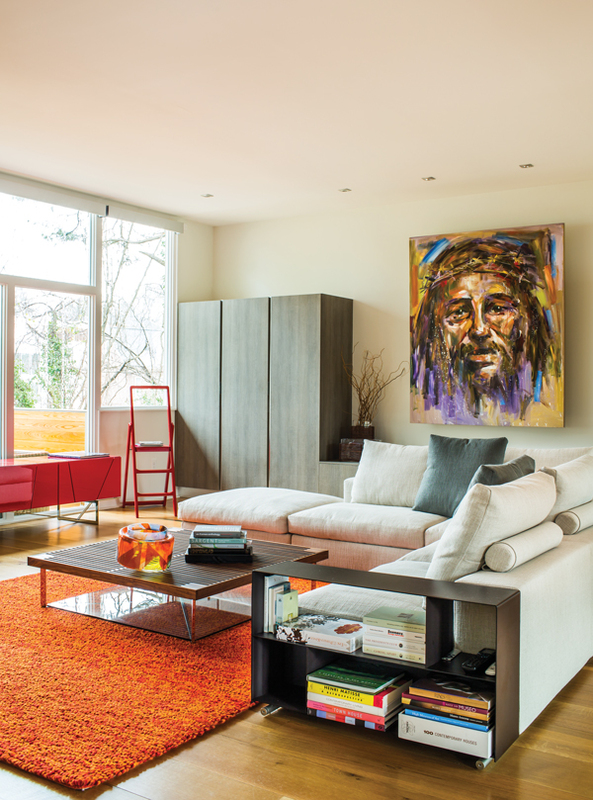 Two concepts—security and affordability—guided Jordache Avery’s approach to this three-bedroom residence. The 50-foot-wide lot, which the owners purchased for a relative song, meant a tight squeeze for the home’s cinder block base and a driveway that accesses a rear carport and garage. To make the most of the limited acreage, the home’s footprint was reduced and all four sides of the second story cantilever. 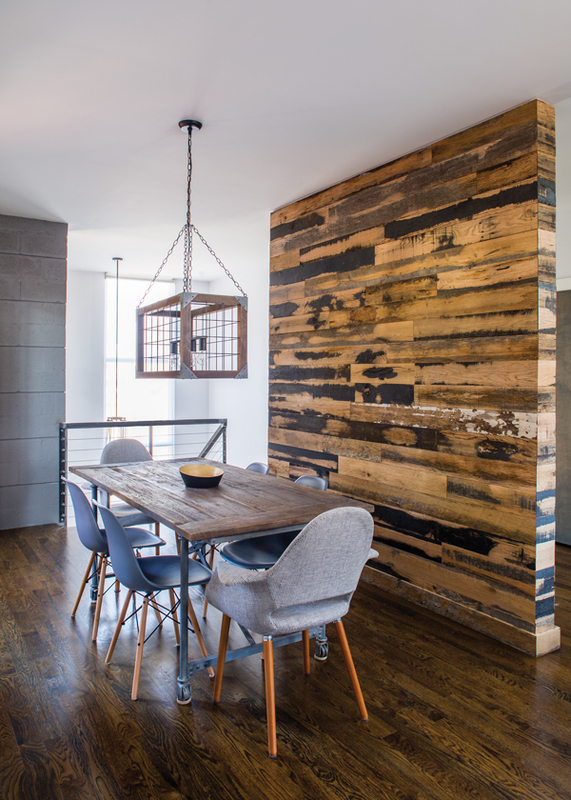 That allowed for 2,000 square feet of indoor space, plus two outdoor spaces off the main living area that have the elevated feel of rooftop decks. 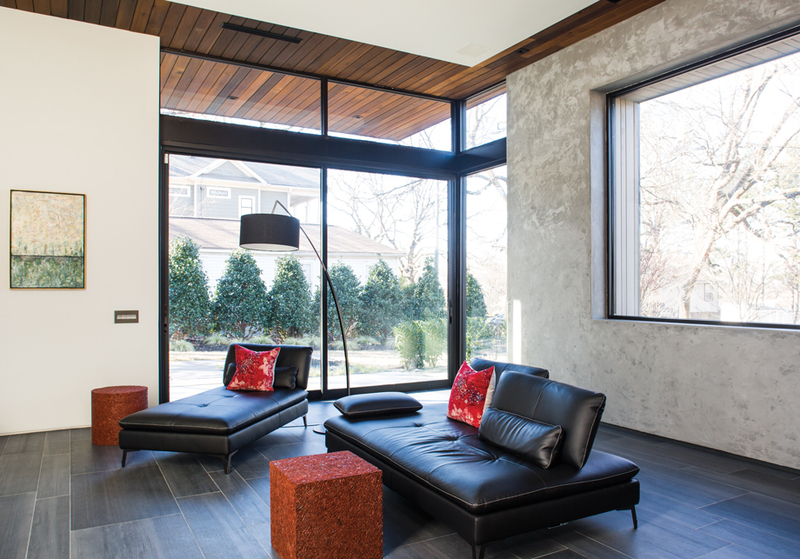 With close neighbors, privacy was paramount, but Avery incorporated enough windows to allow natural light, especially through a 12-foot glass column in the foyer and clerestory windows flush to the living room ceiling, which frame treetops to painterly effect as seasons change. The structure required only one costly steel beam for support, and the homeowner, who works in IT, installed the wiring and electrical systems himself. Another clever, inexpensive touch: The master bath’s linen closet connects to the laundry room to make transferring towels a breeze. 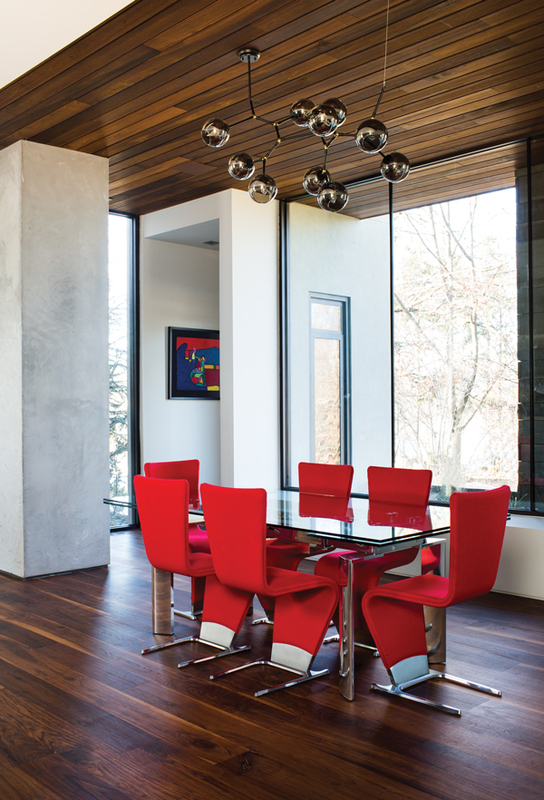 For the first time in his career, architect Bryan Russell approached this modern home backwards—that is, each aspect from the kitchen cabinetry to the double-sided fireplace was designed around artwork and furniture that owner Adriaan Weststrate had spent a lifetime collecting. 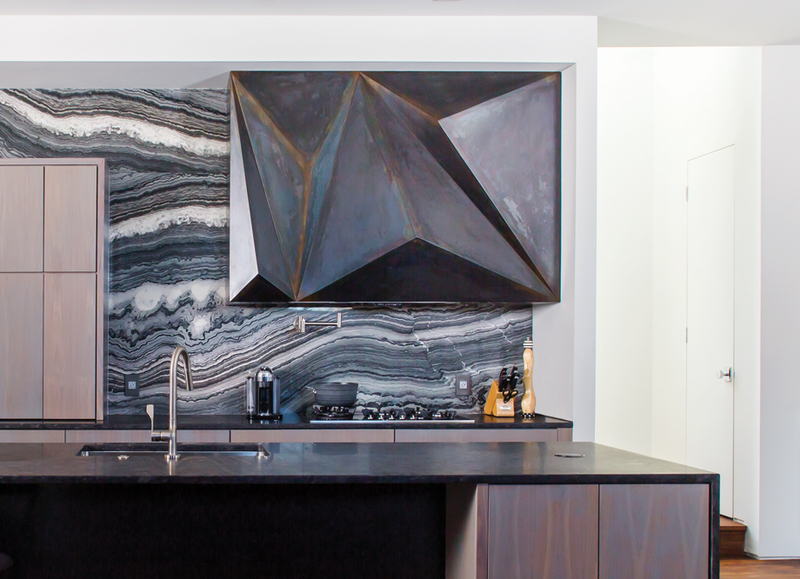 Other challenges: Ensuring the nearly 3,800-square-foot home—with another 1,900 square feet spread across six balconies and patios—didn’t exceed 50 percent of the property’s overall coverage, per zoning regulation, and making the rooms work in conjunction with a massive wall of white Tennessee river stone that functions as a kitchen backdrop, shower wall, and fireplace while bisecting the property. The cantilevered roof soars 41 feet up. To make a home of such scale as friendly to the neighborhood as possible, it’s set far back from the street, allowing for a cozy, low-maintenance backyard with a flagstone fireplace and pizza oven. 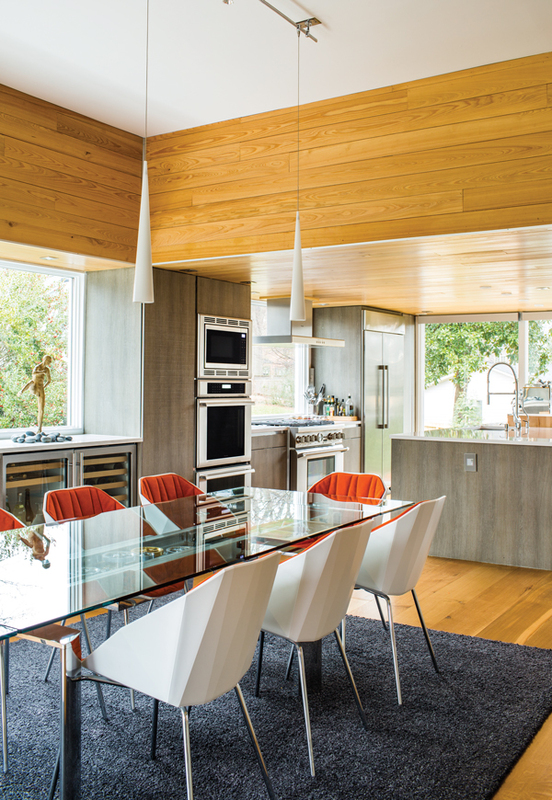 Ceilings in the kitchen and office rise barely more than seven feet, lending a sense of intimacy next to more expansive rooms in what Russell calls a “giant aquarium” of a main level.